Each year, the American Institute of Chemical Engineers (AIChE) hosts a Chem-E-Car Competition® to encourage students to choose chemical engineering as a rewarding career choice. The competition, known as the “Super Bowl” for chemical engineering students, is held during the AIChE’s Annual Student conference. It pits teams of college students against one another, asking them to design and build a car powered by a chemical energy source that will safely carry a specified weight load over a given distance. Forty-one international teams travelled to San Francisco, California to participate in the 2016 competition on November 13th. 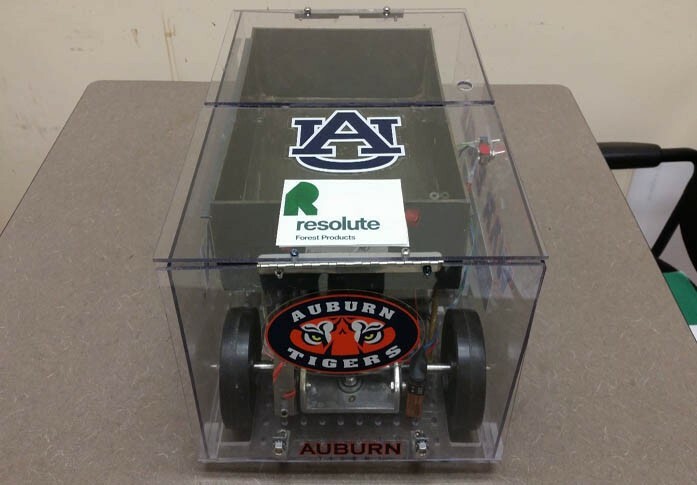 And this year, Auburn University’s (Alabama) Car Team – sponsored by Resolute’s Coosa Pines (Alabama) pulp mill – raced its chemically powered vehicle to 8th place, a personal team best. For Coosa Pines, the competition is an opportunity to show its support for Auburn University’s Chemical Engineering Department and a fun way to raise the profile of the mill across campus and encourage students to consider employment with Coosa Pines upon graduation. To learn more about how the teams powered their cars across the finish line, check out this entertaining video of the 2016 Chem-E-Car Competition.